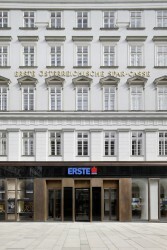 Erste Group continues its austerity measures in the Czech affiliation. Starting from April, about 600 of the overall 11,000 employees (that is 5.5 % of the staff) are going to be made redundand at Ceska sporitelna. Spokeswoman Linda Michalech confirmed that there are going to be dismissals as well.